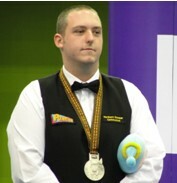 SNOOKER BAIZE BLOG: Q School Event One Result - Welcome back boys! Q School Event One came to the end after six days' competition. It produced four winners, four former professional player including David Grace, Adam Wicheard from England, Robin Hull and Andrew Norman. First man through is David Grace, he defeated Gareth Allen, Mitchel Travis, Sydney Wilson, Jamie O'Neill and Zhang Anda to regain a place in main tour. 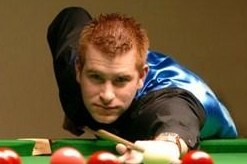 Grace turned pro in 2008 but fell out at the end of his debut season. His opponent Zhang Anda was unluckly to be beaten after his magnificent run in the event. We will have another familiar face return to the circuit. Andrew Norman is the man. 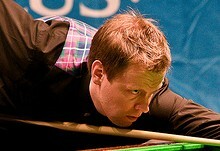 He dropped off the tour in 2010 after eight years professional career. 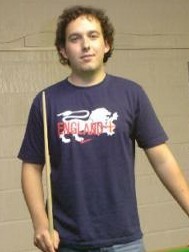 Norman reached Last 16 of Grand Prix ( World Open ) for two consecutive years in 2005 and 2006. He joined PTCs last year and reached Last 16 in Gloucester. He had a hard time after dropping out of the tour but now he is returned. We have four former pros return to the tour via Q School. Event 2 starts tomorrow, which four lucky guys can follow their footsteps?